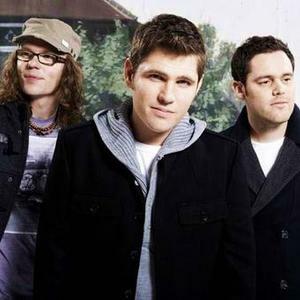 Scouting for Girls are a London-based UK indie pop band formed in 2005 by Roy Stride, Greg Churchouse and Peter Ellard. The debut album from Scouting For Girls is self-titled and has sold over 900,000 copies. It reached number 1 in the UK on 20 January 2008, where it remained for two weeks. Seven singles were released from the album including She's So Lovely which was used at the start of the 2008 movie - Angus, Thongs and Perfect Snogging. The debut album from Scouting For Girls is self-titled and has sold over 900,000 copies. It reached number 1 in the UK on 20 January 2008, where it remained for two weeks. Seven singles were released from the album including She's So Lovely which was used at the start of the 2008 movie - Angus, Thongs and Perfect Snogging. The name Scouting for Girls is a play on the words of the Scouting for Boys handbook first published in 1908 for the Scouts, which provides boys instructions on good citizenship. Similarly, the Scouting for Girls fan club is known as the "Wolfcubs" and is based on the Dennis the Menace fan club. In April 2010 the second album Everybody Wants To Be On TV was released following its first single release of This Ain't A Love Song which was the Easter number one in the UK top 40. The band toured this album throughout 2010, commencing with a full UK tour throughout late April and May 2010 followed by performances in Germany and The Netherlands.